The Kalras are the first family of the food industry. 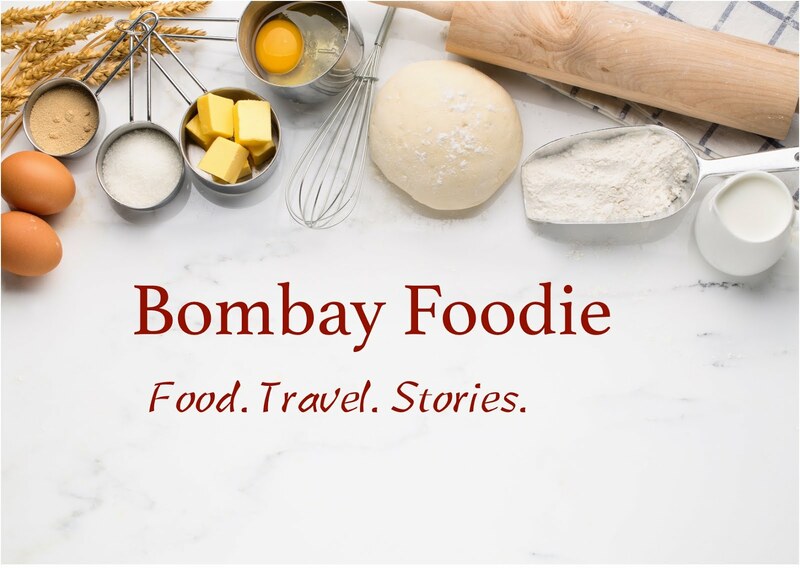 Where people find even one success story hard to achieve, Zorawar Kalra has managed win after win with Masala Library, Farzi Cafe, Papaya and most recently, MasalaBar. But much before they hit the stride with molecular gastronomy, there was Jiggs Kalra and solid Punjabi cooking. Made In Punjab, set inside Mumbai's Inorbit Mall, continues that legacy. We settled in with a watermelon shikanji, a delightful combination of watermelon and lime. If that's not your style, there are drinks aplenty to pick from, including a thick Amritsari lassi, complete with malai or cream pedas. 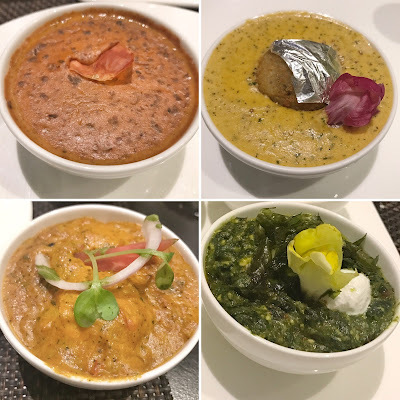 To go with the drinks, Made in Punjab brought out a selection of starters for us to review. Now I'm gonna point out that I only tried the vegetarian food but their chicken is apparently legendary. 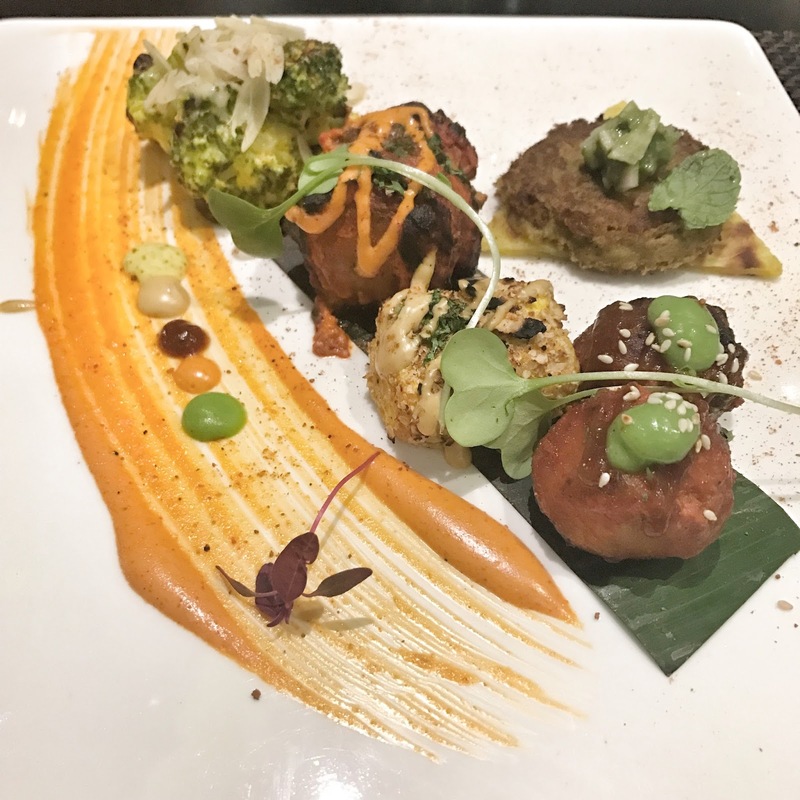 The starters you see above are the usual combination of mushrooms, paneer and tandoori potatoes. But there was also a yam kebab. These four were spicy and each came with their own set of dips. Yet, given my penchant for subtle flavours, it should be no surprise that my favourite appetiser was the creamy almond broccoli. On to the mains then, with the trademark Jiggs Kalra dal. That and the paneer lababdar make an appearance on most north Indian menus. But I want you to pay special attention to the bottom right quadrant where sits lasooni palak with chenna. If you grew up thinking greens are boring, this garlicky, creamy spinach combined with fresh curd cheese will change your opinion forever. Little touches apply to most everything at the restaurant and I refer not just to the edible flower garnishes but the added layer of texture in lasooni palak with some crisp, fried spinach. Made in Punjab also makes an excellent morel biryani, with authentic Kashmiri morels and a burrani raita (yogurt with fried garlic) to die for. 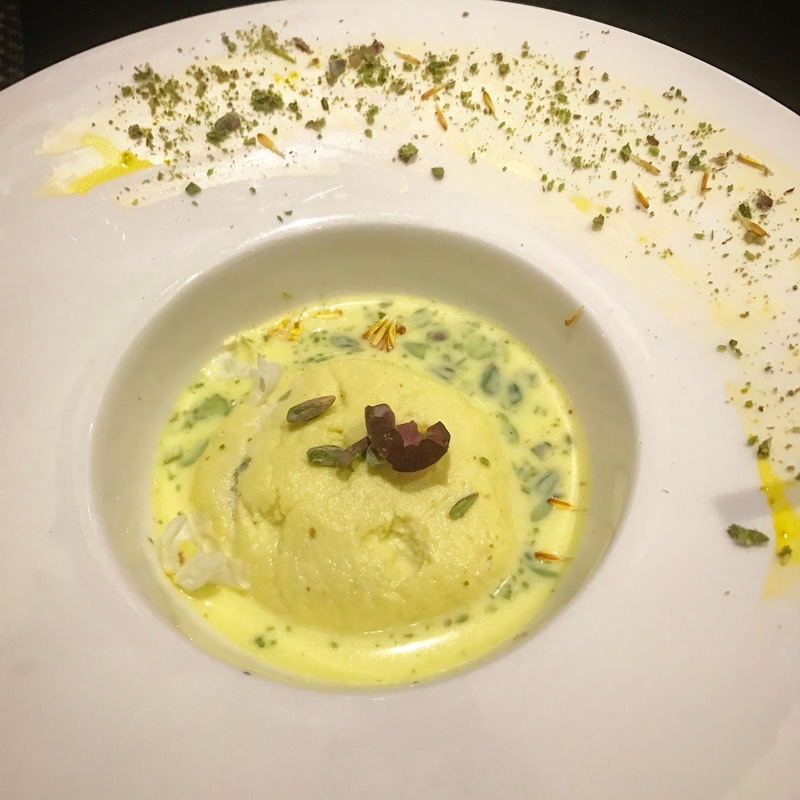 We were really full up by then but the restaurant suggested we try their not-too-sweet rasmalai and it did make a great end to the meal. I've tried their warm desserts on previous visits and both the rabdi-jalebi and the chocolate stuffed gulab jamun should be on your lists of foods to try. God, I am hungry right now, I love the less sugar dessert as well.